Can we accelerate the coming of the Messiah? 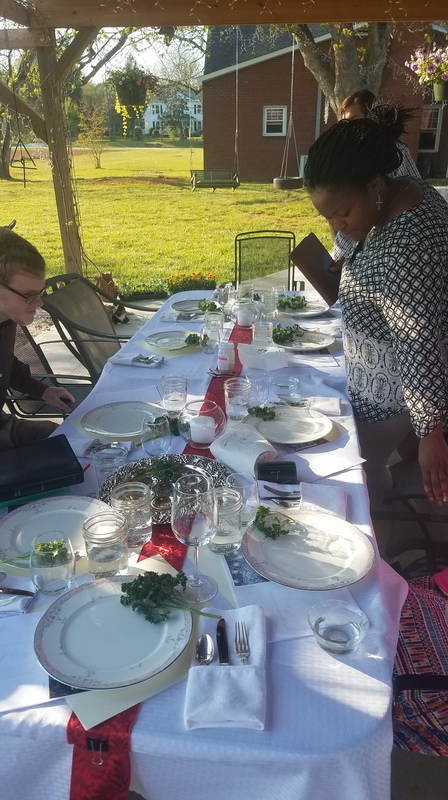 Last night, as we sat around the Pesach table, we enjoyed a wonderful romp through Scripture. A small affair, with only three guests besides my family, we embraced the freedom to pursue Scripture and thought trails induced by the haggadah. Two of the three guests, never having participated in a Passover, had insightful questions and opened doors for significant discussion. This morning, I woke thinking about the coming of the Messiah and how to speed it! Christian and Rabbinic thought differ on whether we can speed or affect prophecy, a point that I made at our table last evening. 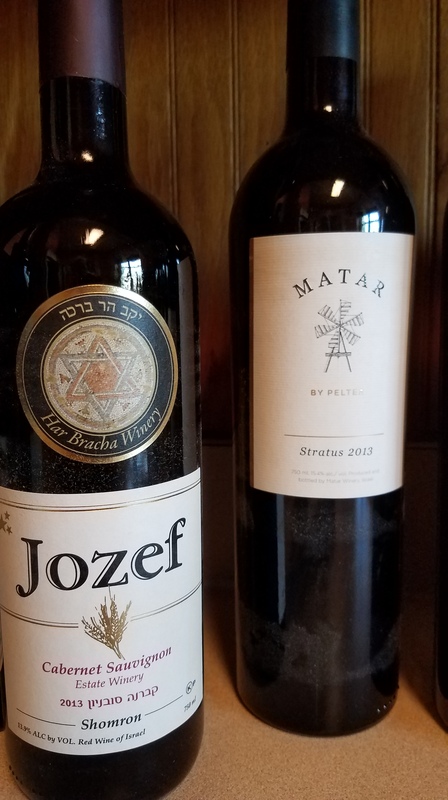 We were enjoying a wonderful bottle of Jozef from Har Bracha Winery in Samaria, Israel, my selection for Pesach. I explained to our guests that the bottle is a fulfillment of prophecy and poignant reminder of the difference in Christian and Judaic perspectives on prophecy. Nir (pronounced, Neer), the owner of Har Bracha, read in Scripture some years ago a prophecy that wine would again be produced in the Shomron (Samaria). Instead of simply praying that God bring this about, Nir took action. He secured property on the Mount of Blessing, purchased root stock from Europe and began to study wine making. Today, Har Bracha Winery produces award winning wines that consistently outperform European wines in competitions. And, as a result of his impetus, multiple other prophecies have been fulfilled in and through his winery, including the advent of Hayovel, a ministry that has brought thousands from the nations to trim his vines and aid in his harvest. Generally speaking, the Christian perspective is prophecy is that we watch and wait for it to happen. Jewish/rabbinic perspective differs in that we can read prophecy and then enter in to make it happen. Much like trading with insider information, Nir prayerfully set out to fulfill prophecy and the fruit/blessing of Har Bracha demonstrates that he has the right approach. So, can we accelerate the coming of the Messiah? Judaism answers with a resounding, ‘Yes! !’ and I have to agree. Let me explain. Yeshua, in Matthew 24, prophesied the signs and events of the end of the age. As this previously linked article demonstrates, in His prophecy, Yeshua used language drawn directly from Deuteronomy 30:4, thus indicating a connection between the passages. Therefore, to understand what He says in Matthew 24, we must understand Deuteronomy 30:4 and the surrounding context. By stating that His messengers would gather the chosen ones from ‘the end of the sky,’ Yeshua clearly connects that gathering with their return to obedience to ‘all that I command you today’ in Deuteronomy 30:2-3. This tells us exactly how to speed the Messiah! Deuteronomy 30 explains the rest including YHVH’s circumcising of our hearts and obedience to ALL He commands. By keeping all He commands and teaching others to do the same we speed His coming. Just as Nir built Har Bracha Winery with the expectation that God would be good for His Word, we can speed the Messiah’s coming to gather His people by learning to walk in all of His ways and sharing that truth with others. This entry was posted in A Thought... and tagged gathering from the four corners, geulah, Messiah coming, rapture, redemption, second exodus. Bookmark the permalink. 2 Responses to Can we accelerate the coming of the Messiah?